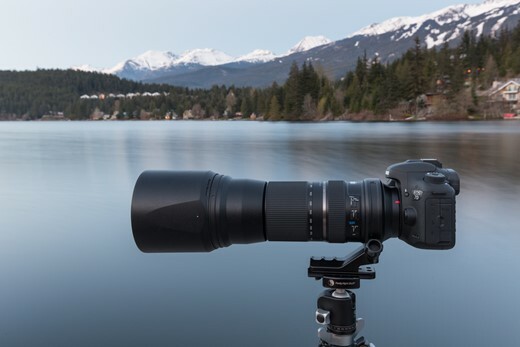 Tamron announced the SP 150-600mm F5-6.3 Di VC USD at the end of 2013, and as one of the cheapest ways to reach past a 400mm focal length, it quickly became popular with amateur wildlife and sports photographers. We've previously published a lab test review for this lens, but in order to get the complete impression, I wanted to spend some time with it out in the field, doing what this lens was designed for. The SP 150-600mm F5-6.3 Di VC USD is available with either a Canon, Nikon or Sony Alpha mount. All three versions are identical, apart from the lack of image stabilization in the Sony-compatible version, which relies instead on Sony's in-camera SteadyShot Image Stabilization technology. For this test, I was shooting with the Canon EF mount version of the lens on both full frame and APS-C bodies. At 10" long (without the lens hood), and weighing in at 4.3lbs (1.95kg), it isn't a small lens by most people's standards. It will definitely garner a good number of 'you must be able to see craters on the moon with that lens' comments when in public. Though considering that a Canon 70-200mm F2.8 weighs 3.45lbs, it suddenly doesn't seem so heavy. With the weight nicely distributed along the barrel length, it feels well balanced, and most people will find it possible to shoot hand-held with it for short periods of time if you are simply picking up the camera to take a shot. If your chosen subject requires prolonged periods of actually looking through the viewfinder and waiting for the right moment, a tripod or monopod will be a necessary accessory. During the test period for this lens, I took it on two wildlife trips to try it with both my full frame 5D Mark III, and also my APS-C 7D Mark II. On both of these trips I also had my own personal Canon EF 200-400mm f/4L IS USM with me. Whilst this would be far from a fair, direct comparison, I was extremely curious to do some side-by-side shooting to gauge the Tamron's performance, relative to what is seen by many Canon photographers as the ultimate wildlife lens. Can a lens that costs one tenth the price of the 200-400 really hold a candle to it in any way? 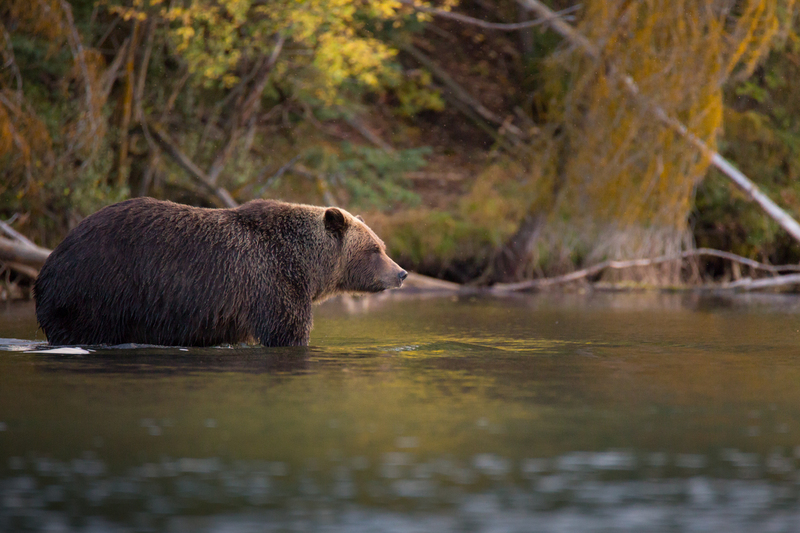 The first of my two trips with the lens saw me in the Chilcotin mountains of British Columbia in search of grizzly bears. I chose to photograph the bears from a kayak, in order to get down on their level and really give the sense that I was a part of their environment. As with most wildlife, these bears were active in the early hours of the morning and the late hours of the evening. With low light levels, and the ever present bobbing motion of my kayak, this presented a tough challenge for Tamron's Vibration Compensation system. 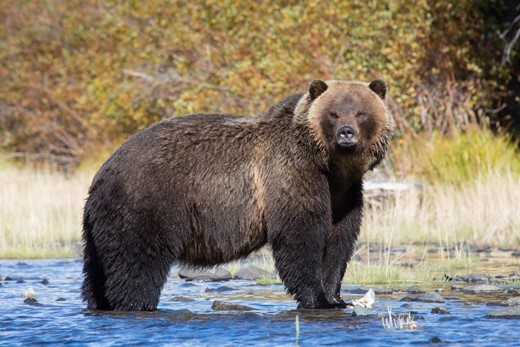 Grizzly bear in the Chilcotin Mountains, British Columbia. Tamron 150-600mm @600mm + Canon 5D Mark III - f/6.3 , 1/500, ISO 3200 - Raw file processed in Lightroom CC. Highlights +3, saturation +11, exposure +0.4. In an ever-changing, real-world shooting situation like that one, it's almost impossible to do repetitive scientific testing on something like image stabilization. However, with enough usage, and the well-known benchmark of my Canon 200-400 to compare it to, I'm still confident in drawing conclusions. Tamron says that the VC system gives you 'up to a 4-stop advantage', but in practice I would say that, when used at the long end of the zoom, I was getting a good ratio of sharp images at something much closer to 3 stops under a regularly hand-holdable shutter speed. Everyone's definition of a good keeper rate will vary, and I was certainly able to get some usable shots in 4-stop range, but I was never confident with it. The image in the viewfinder does jump when the shutter button is pressed to engage it, but I didn't find it overly distracting, and the VC system is impressively quiet. Overall, in terms of stabilization, the lens does a solid job. It didn't set the world on fire, but it provides some much needed assistance when shooting at longer focal lengths. Since this could very well be many people's first long focal length lens, it's worth underlining just how much harder it is to get a sharp shot at 600mm, when compared with a shorter telephoto such as a 200mm. If it's your first time working with a lens in this range, you should expect to take a little time getting used to it and perfecting your long lens techniques. Even though the Tamron 150-600mm is relatively small compared to many other super telephoto lenses, its light weight means it can be significantly affected by gusting winds, particularly when zoomed out to 600mm with the large lens hood on. On the wide open lakes of British Columbia in my kayak, this is something that required a small compensation with additional shutter speed on several occasions. 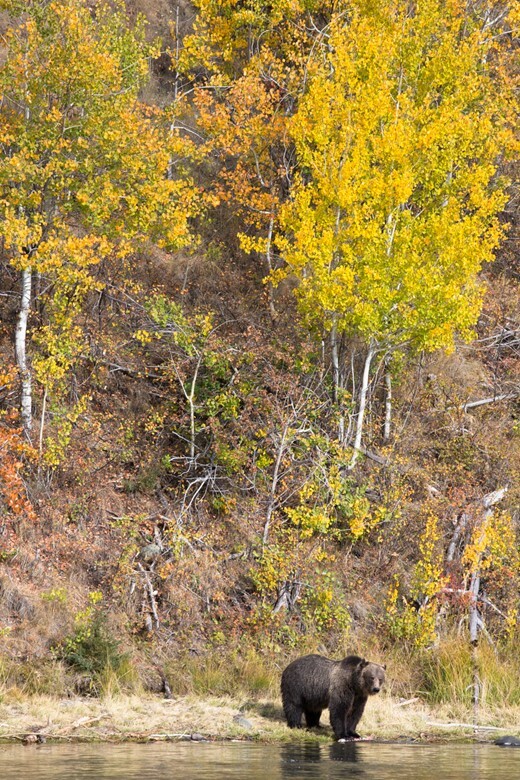 Heron in the Chilcotin Mountains, British Columbia. Tamron 150-600mm @600mm + Canon 5D Mark III - f/7.1 , 1/160, ISO 2000 - Raw file processed in Lightroom CC. Highlights -30, shadows -2, whites -27, saturation +4. From an operational standpoint, the weakest point of this lens is definitely its autofocus. It is accurate when it locks on, and it even tracks much better than I had anticipated, but it seeks for initial focus far too often, and for too long. Even when presented with a good amount of nicely contrasting light, if the current focus position of the lens is a long way off what you are trying to lock on to, it often seeks back and forth several times before finding its target. Phase detection autofocus can be an iterative process for such long focal lengths, as often a distant, out-of-focus subject provides too little contrast for the AF system to make a phase measurement (in order to tell the focus element where to jump to to lock focus). Hence, some focus seeking with such long lenses would be expected of any super telephoto. What I was seeing from the Tamron 150-600, though, was a much more prolonged seek time compared to any other lens that I have ever used, particularly at longer focal lengths. The amount that the lens elements moved back and forth during this initial stage of focus was much more than with my 200-400, and it caused me to miss several shots. Grizzly bear in the Chilcotin Mountains, British Columbia. Tamron 150-600mm @600mm + Canon 5D Mark III - f/8 , 1/640, ISO 1600 - Raw file processed in Lightroom CC. Highlights -28, vibrance +10, saturation +6. Since returning the lens to Tamron, I've also taken delivery of the new Canon 100-400 f/4.5-5.6 L IS II. After two weeks of shooting with that lens, one that is far closer to the Tamron's price point than the 200-400 is, I can say that the Canon's AF performance is superior. Certainly, initial time to lock onto a subject is barely distinguishable to the performance I get from the 200-400, whereas the Tamron typically felt very slow. On the first trip with the Tamron lens, I used it exclusively on a 5D Mark III and ran into some AF troubles when only using the central AF point. The lens would sometimes fail to lock onto a target at all, until a cluster of AF points was used instead of the central, single point. Tamron replaced the lens with another which worked much better, but still fell short of what I would have hoped for. I do believe the first lens I tested was genuinely faulty, but the second one still gave me the initial focus hunting issues described in the previous paragraph, and on occasions caused a few missed shots when used with the 5D Mark III. Halfway through the testing period, I purchased a 7D Mark II and was excited to test the Tamron on the new APS-C body. The 5D Mark III, 1D X and 7D Mark II all share several characteristics when it comes to autofocus systems, but they aren't identical. The 7D Mark II features 65 AF points that are all cross-type down to f/5.6, where the 1D X and the 5D Mark III have 61 points, of which up to 41 can be cross-type, depending on the lens that's in use and its maximum aperture. Importantly, peripheral points on the 5D Mark III and 1D X are only cross-type with f/4 or faster lenses, potentially giving the 7D Mark II an advantage with slower lenses like the Tamron. 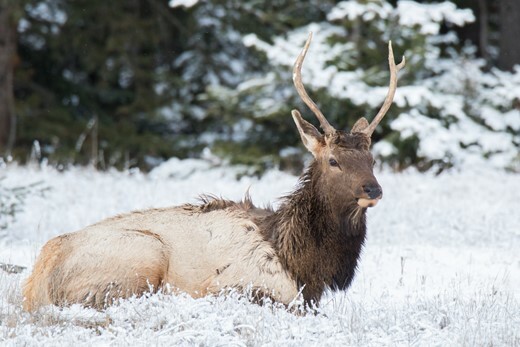 Elk, Jasper National Park, Alberta. Tamron 150-600mm @600mm + Canon 7D Mark II - f/8 , 1/500, ISO 1250 - Raw file processed in Lightroom CC. Exposure -0.25, saturation +4, vibrance +5, highlights -90. The 7D Mark II also has the widest spread of AF points across the frame, for any Canon DSLR. This makes it much easier to stay locked onto an erratically moving subject that might move towards the edge of your frame. On top of this, the 7D Mark II employs an updated version of the iTR AF system that was first introduced with the 1D X (Intelligent Tracking & Recognition AF). This system makes use of the camera's 150,00-pixel RGB metering sensor to relay color information for cross referencing with phase detection data from the AF module. In essence, it's able to help the camera understand the whole scene in front of the camera, and aid with object tracking in AI Servo mode by allowing the camera to automatically pick appropriate AF points to follow your subject around the frame. The 5D Mark III has a primitive version of this feature that primarily relies on distance data from the AF module's phase-detection data (since its metering sensor is far too low resolution at only 63 zones). The result is that AI Servo tracking with the 7D Mark II is noticeably more accurate. Switching the Tamron 150-600 over to the more powerful AF system of the 7D Mark II gave a marked improvement in my experience with the lens when tracking moving subjects. The 7D Mark II's AF system really is first class, and with the Tamron lens, it made a potent pairing that gave me a 240-960mm focal length equivalent. I wouldn't say that any AF issues were entirely eliminated with this combination, but they were certainly pushed further back in my mind, allowing me to get on with the job at hand. 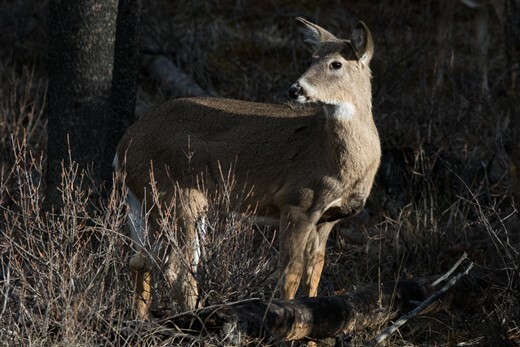 White Tailed Deer, Jasper National Park, Alberta. Tamron 150-600mm @309mm + Canon 7D Mark II - f/6.3 , 1/800, ISO 1600 - Raw file processed in Lightroom CC. Highlights -26, exposure -0.5, contrast +20. When raising the camera to my eye, if the focus distance was a long way off my target, I would make a quick manual adjustment with the lens' focus ring to bring it roughly into the right area before pressing the AF-On button on the back of the camera. This technique definitely helped to minimize the initial focus seeking and difficulties were then really confined to tracking moving subjects in very low light, a situation that will trip up many systems. And on the point of shooting in low light, the 7D Mark II's center point is sensitive down to -3 EV, which likely helped focus in the dim conditions I was shooting in. In summary, I was able to get the best out of the Tamron lens with the 7D Mark II, but hunting issues did persist with both cameras I tested the lens on. Part of what might be causing the hunting may be the maximum aperture of the Tamron lens, which drops to f/5.6 when zoomed in to a modest (for this lens) 226mm. By 428mm, the maximum aperture drops to f/6.3. Since most of the AF points outside of the central ones only work to f/5.6 (with cross-type sensitivity only working to f/4 - i.e. never with the Tamron lens - at peripheral points on the 5D Mark III), it's quite likely that the hunting was due to the phase-detect sensors reaching a hard limit due to the maximum aperture. The best way to work around this would be to use the f/8-sensitive center point only as you zoom in and the maximum aperture decreases, but of course this means you sacrifice subject tracking ability (across the frame). Having such a huge zoom range in a lens like this is great for wildlife photography because it allows you to capture several very different looking images in quick succession. At 600mm you can grab a close portrait of your subject, and all the way out at 150mm you'll get a shot that really shows the animal in its environment. If you've traveled a great distance, or spent many hours waiting for the animal to show up, a zoom lens like this is an excellent way to maximize the opportunities of your encounter, and come away with a selection of very different looking images. Grizzly bear in the Chilcotin Mountains, British Columbia. Tamron 150-600mm @375mm + Canon 5D Mark III - f/9 , 1/1600, ISO 1600 - Raw file processed in Lightroom CC. Clarity +1, vibrance +3, saturation +1. For sports photography, a zoom works well when you are confined to designated shooting positions at an event. As the action comes closer to you, you can quickly zoom out to make sure nothing is lost from the frame. A super telephoto prime lens might be sharper and a bit faster, but the flexibility of a zoom lens can bring considerable benefits to counter those two factors. One disadvantage of a long zoom lens is the necessity to have a variable maximum aperture. Whilst it would technically be possible to create a zoom of this range with a fixed aperture, it would be many times larger, heavier and more expensive. The Tamron's lens varies from F5 to F6.3, with the most important jump being from F5.6 to F6.3 at around the 420mm mark. From an aperture standpoint, F6.3 would definitely not be considered fast, although there are no other lens options at this price point that offer anything faster. Side-by-side testing with this lens and my 200-400mm F4 proved an interesting point. 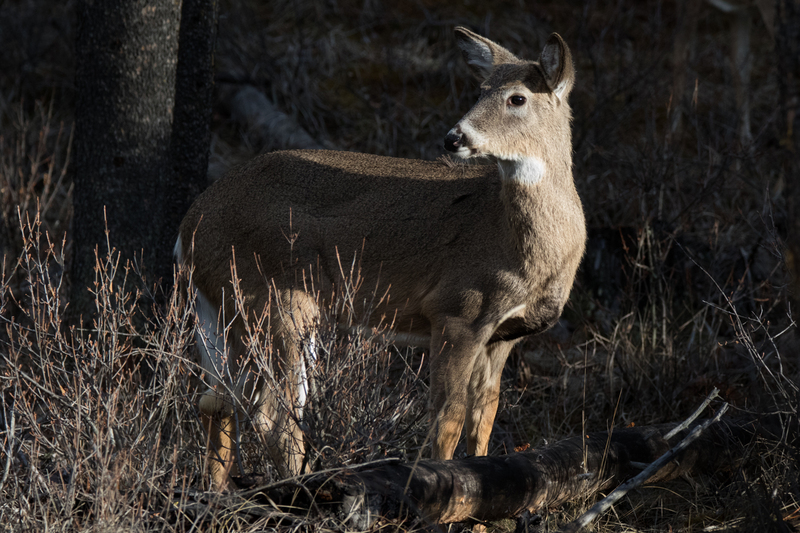 With wildlife often tending to be active in the early and later parts of the day, there will come a point where you are limited by your aperture. With the shutter speed that is need for shooting at these long focal lengths, that point of limitation might come sooner than you expect. When shooting the grizzly bears from my kayak with the Tamron, I would reach what I consider to be the useable ISO limit of my camera, and then switch to shooting with my Canon lens and its wider F4 aperture. As the sun went further below the horizon, this wider aperture gave me at least another 15-20 minutes of workable light, in which I would often make several extra images that I was pleased with. I mention this, not as a knock to the Tamron in any way at all, but simply as a way to demonstrate one of the big reasons why some people are willing to purchase lenses which are that much more expensive. The low cost of the Tamron ($1070/£800) is what I would consider to be a real enabler. It gives people an affordable way to explore a new type of photography, that possibly wasn't previously viable for them. Yes, you might not be able to shoot for quite as long as dusk comes, or start quite as early at dawn, but F6.3 is still good enough to get you out there and I still got a great many shots that I'm pleased with. To maintain the same f-stop it becomes exponentially larger as the focal length increases. We have a bunch of options now in the low $1000's range, that's not too bad, way better than it was 10 years ago. The Nikon 200-500 is a great lens and price. Great photographs and impressive quality. Cool, I have a trip planned up in the Chilcotins in August. Where specifically did you see the bears? I met one after dark one night camping in the middle of nowhere with my dog... wouldn't leave us alone for an hour and a half. I'm bringing my Nikkor 200-500 which I really like, and the D300. 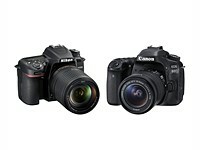 I'd like a D500 but can't justify the expense. Something I find missing in most reviews of longer lenses is how well they stack up IQ-wise against a shorter reach lens combined with cropping or an extender to get a similar field of view. For instance, the Tamron 150-600mm versus the Canon 100-400mm IS II (both on a 5D Mk III in my case). The 100-400mm is mentioned in the review but not in terms of IQ at an effective 600mm. How much advantage (other than cost) does the Tamron 150-600mm used at 600mm have over cropped images from the Canon 100-400mm II? I have read a lot of different opinions and even personally talked to a few people who have the Tamron 150-600mm lens. The pro reviewers tend to be a lot less polarized than amateur folks like me. My experience has been pretty good with this lens. I usually can tell a bit of difference between 500mm and 600mm but I have to crop in to see it. I have even done some astro photography with it. It is not as good for shooting planets and stars as my apochromatic refractor it still does a decent job with very little chromatic distortion. I have a Sony aps-c camera and this Tamron lens seems to work well with it. My next most powerful zoom is a 70 to 200 f/2.8 so 600mm has been a big adjustment for me. For me this lens has been worth every penny. Dan's review of this lens is spot on. My copy has the same pros and unfortunately the same cons. The AF is slower and it does hunt a lot. Once it nails focus it's pretty good but achieving focus can be an issue. Thanks for this review, Dan. I have been seriously considering buying this lens, mainly for the 600mm reach, although I've never had a Tamron lens (or any EF lens other than Canon lenses). Now that has been put on hold due to the focus hunting / missed shots issues. Not very good when trying to capture birds in flight. I hope a firmware or a hardware update can address these issues. It's a lot of lens for its reasonable price. I used the lense as a loner at a Tamron event and at 600mm the shots were coming out great. I bought one the next day. I got one before going to Kruger Park, ZA. Initial impressions: The lense is good whereas my skills are not. Most DSLR photographers had either this Tamron or the Canon 100-400. Which says something about how well it meets its target audience. You get good pictures with this lens. True, the AF on 5D3 could be better and often needs manual override. True, at 600mm somebody jumping in the car ruins your shots. And you have to practice. What would be the alternative in this price range? I purchased a Tamron 150-600mm last February and used it with both a Nikon D800 and a Nikon D4. Not long ago, I upgraded to a Nikon D810. My Nikon dealer suggested I try a Tamron. I was hesitant at first, especially knowing how satisfied I was with my Nikon lenses. I live in Jackson Hole, WY and go out almost every day of the week and take photos of the wildlife and scenery in the area. Each day, I post a few of them on my blog at www.bestofthetetons.com. Each month has a completely new set of photos from that month. Even though I own a Nikon 200-400mm lens, I've had the Tamron 150-600mm on either of my two bodies almost exclusively since February. The same page has a set of links for all of the previous months. IM not impressed..... this lens has reach but as soft as lasts weeks over ripe peach. I'm not that fussy but am amazed at so many positive posts... This lens truly represents, you get what you pay for. I was considering this lens at one point, but every time I see the finished product, it tells me it is 1100 dollars poorly spent. This lens is more about bragging rights about owning a 600 mm lens , than actual sharp photographs. BTW, I have no axe to grind with Tamron, I own several of their lenses. A very refreshing and realistic review of this lens. I used this lens once and when I considered the price point I thought it was a great deal. I shoot Nikon tele primes but had to admit I would consider a lens such as this, if anything for it's zoom , weight & range. Rather amazing these 150-600 lenses including the Sigs and Nikon 200-500. A great time for all wildlife and sports enthusiasts. Tamron still not activated the VC option for Sony A users even though most buyers must be using LA-EA2/4 on Sony A7/5000 etc E/EF cameras? I rented the Tamron 150-600 for the Super Moon Eclipse. It was fantastic with my D7100. I have a gimbal head on my tripod. Not one problem with the mount. Learning to use the lens was fairly simple. there was some lens creep, but not during use, just during handling while moving to and fro. I also tracked a Bald Eagle couple as they did an aerial dance along the Palisades on the Hudson River in NJ. The lens tracked well. The quality of the pictures at full extension were surprisingly good. This lens made a believer out of me as it was almost intuitive to use and felt extremely solid in use. Even with the lens hood on, it was roughly 18-20 inches in length from the camera to the end of the hood. Collapsed and in the case, it was easy to carry and light, in my view, for it's size. BTW, All of the Moon exposures were pretty long (1/30-40) with high ISO (2000-5000). Most of them were also hand-held. Is the Sigma for about twice the money and a lot heavier, a better lens? Well, I should hope so! Will a larger heavier lens with less range but faster, and costing multiple times more, aimed for a specific purpose, do better for it's more focused purpose? I appreciated the article and the pictures, because I could see the author, even a talented experienced shooter, was struggling with clarity issues at the long end of this lens. But from other pictures elsewhere, and a very few great shots of my own, I know the clarity is there...just not quite so easy to achieve. I think maybe what might be really useful is the development of a list of thoughtful workarounds. Maybe even a short course on just the mechanical aspects of shooting long. Sort of a work flow for long shooting. A quick guide to getting us from fuzzy toward tack sharp at 600. I bought this lens as my first venture into long telephoto shooting. It's good for that. Sometimes I can get really sharp images at 600 mm. I got a tack sharp moon shot. But mostly the lens has been teaching me the ups and downs of long tele shooting... using manual focus, countering camera movement, shutter shake, how to use the IS, best ranges for aperture and speed...all the things you have to get better about when you go long. I expect that as I get better with it, my pictures will get better. When I see the best of the pictures taken by others with this lens, I can see the lens is capable of superb images, and I think I will be able to achieve the same results...as I learn to work with it. If ultimately I move on to another lens that has some particular better characteristics I feel I need... I'll be thanking Tamron every step of the way for making my entry into this field easier with such an economical but still incredibly versatile lens. I bought this lens about three weeks ago and I am very impressed. I am still getting used to the size and weight but it has already delivered impressive results. This lens is very hard to match for the money (less than half the price for a Canon 100-400 II). My only wish is that I had it with me in South Africa earlier this year! I used the Tamron extensively for a year before selling it in favour of the Canon 100-400mm II. On the one hand, this review doesn't do the Tamron 150-600mm justice as I have to agree with the comments that the reviewer has chosen sub-optimal settings for both the lens and the cameras, and the quality of his photos is poor compared with other published ones and even my own. For a start, the Tamron should be used at f/8 at 600mm (as well as below) where the images are much sharper than at f/6.3 and the iso values are rather high. On the other hand, although the lens is good on FF its IQ is weak on APS-C, which is much less tolerant to the imperfections of the lens. The VC s not 4 stops at 600mm but closer to the 3 measured by lenstip. I liked the Tamron and would recommend it. But, for Canon users the 100-400mm II is a far more expensive but better option in terms of image quality, even when using the 1.4xTC. And the one copy of the Sigma 150-600mm C I tried was better. Interesting lens, and good useful review - thanks!
" the VC system gives you 'up to a 4-stop advantage'"
Compared to what? A system with no VC/IS at all? Just about every kit has some kind of IS. It would be more meaningful to compare it to someone else's VC/IS system at a comparable focal length for both systems. The shutter speeds and ISO sensitivities used definitely are all wrong :) Everyone on a different learning path though. Be glad they are not 50% size or larger. they were all apparently processed in Lightroom. what he saw on his monitor are not necessarily what shows on yours. if you downloaded the pics and reversed the Lightroom work that he did, would the results be more pleasing? He wasn't trying to win "Wildlife Photographer of the year". He was showing sample images taken with the lens. These images are not bad, either. The point of this article was do discuss the pros and cons of the lens, not to judge Dan on his photos. You are missing the point of the review. @Scorehound, were you referring to my comments? if you are, I don't understand the reply or the reason for it. I don't see the point of posting the images on here. I'm sure they were much better than they appear on my screen. If that is how bad they really were I can't really see how it was the fault of the lens because I have seen superb images on Flickr with it. There just has to be a problem with DPR uploads. These look soft and lack contrast. I could get better shots of a bear with my mobile phone than that! "I could get better shots of a bear with my mobile phone than that!" Tamron 150-600 .. the dust simulator ?? I could get better shots than this with my super cheap Kodak AZ526, this is heavy bulky and not particularly versatile gear , you could get these shots with a £150 budget superzoom, I have just shot this at an effective focal length (35mm) of 1248mm (52x optical) PLUS some digital zoom, this was a tiny bird and you can view this at many many times the size of the original subject and it still stands up, unlike those shots of huge bears viewed at many many times less than their original size, the camera industry and this site seem to need to perpetuate this myth, but the truth is, most of the time you no longer need this outdated bulky and expensive kit to get good shots, ps the camera that took this shot cost £99.00! !, somebody recently replied to me on this forum saying "your photos are not actually as good as they look"
A 1" sensor super zoom can hang in there more critically with larger sensor DSLR and mirrorless but not typical super zoom cameras. Depends on how critical we are and how we use/view the photos so it's not a damning thing. If you are happy and content then the more affordable and portable the better! I accept that when light levels drop, a big sensor starts to pay dividends, but these shots? ?, the light level is reasonable, the subject is relatively static and very large, I still reckon my tiny sensor superzoom used properly at base ISO could get in closer and produce results that would compare very well, actually, this lens couldnt get the shots I could with my superzoom because it doesnt have the reach, so it doesnt really compete "for these types of shots in these conditions at this distance"
So you aren't talking about other images and yet you post up links. I must be missing something. Interesting observation and very nice shot to support your argument. Re: "your photos are not actually as good as they look"
Re: " saying you can take a bear in the wild with your camera"
1. VB didn't say that, nor did he imply it. Still more proof that people can't think straight anymore. 2. Is there some reason that VB couldn't take a picture of a bear in the wild with his camera? Plenty of people get very good shots at long distance with bridge cameras. Do you believe that there is something special about photographing bears, as opposed to birds, at long range with long focal lengths? How about elk? Moose? Are we in the territory of arcane secrets again (or still)? Here are some very long zoom shots, taken in a zoo, but I cant imagine that was so different was it, or is there some deep technical difference that I fail to grasp ? I've had great birding results with this lens on my D810 and D7200 (see gallery.) Found the image quality to be about equal to my 1st generation Canon 100-400 L lens. Did find it worked better to turn IS off at over 1/400 shutter speed. Get slightly better results with higher shutter speeds and IS off in general. Great lens value. I was about to say my 150-600 focuses fast with my Sony A77ii when I read that it focuses better with a 7Dii. Poor AF is often a camera problem. Not a lens problem. Amen! Focusing on the a77ii is unbelievably fast in decent light. The a77ii balance extremely well The photos are as sharp or sharper than what I was getting from my Olympus EM1 with the pricey and almost as heavy 50-200 SWD iWITH 1.4TC. I was surprised how manageable the lens/camera combo was. I got good results using a monopod - almost as good as with a tripod/gimbal.. I used this lens on a Canon 5D MkIII in southern Africa for 7 weeks last summer and was very pleased with the sharpness of the results. Since then I sold both the lens and camera and got a 7D Mk II and the 100-400 Mk II. The obvious-to-me comparison the review failed to make is to a Canon 100-400 Mk II on a 7D Mk II with a 1.4X TC III attached. The new Canon 100-400 Mk II was designed specifically to work with teleconverters and the resulting image is better quality than the old 100-400 mm lens. The 7D Mk II + 100-400 Mk II +1.4X TC differs from the Tamron lens on a 7D Mk II in a couple of ways. (1) in the Canon setup focus is limited to a central spot, (2) maximum zoom is 560mm vs. 600mm and (3) maximum aperture is f/8 rather than f/6.3, and (4) price. However, the Canon is much more rugged, weatherproof, and much faster focusing. Why were this images so muddy??? Long telephoto images often look "muddy" or hazy because of the atmosphere. The longer away the target, amount of dust and higher the humidity the worse it gets. Atmospheric "shimmering" due to heat rising from the ground also tends to distort the image. You will never get as sharp an image with a super telephoto at long distance as you will with a shorter lens at a closer distance. ALSO: Its a 4x tele-zoom for $1000. Not a prime at a $1000. Not a 2x f/4 fixed zoom at $6000. Its a 4x tele-zoom for $1000. And we're looking at the long-end of its images, where tele-zooms are always weakest. I use this lens now on the Nikon 750 and D7200 and and very impressed with the results. No focus hunting like described in this review so i wonder if that is more a Canon compatibility issue? For the price the lens is nothing short of amazing! -First and most importantly, I liked it and got lots of great shots, including some good birds in flight. -960mm is very long and much harder to handle than 620mm even for static subject. I found it almost impossible to get sharp birds in flight at that length (not surprisingly). -The tamron's stabilisation doesn't seem to work well with panning, I got better results switching it off for moving subjects. A nice review thanks. I always thought that the 7D MKII is a better body for a wildlife photographer, but the I am nor Canon expert. One thing I noticed in the Kildeer (Bird) image. The detail is much much less than I expected. It could have been the lens, the body or even the moment. At least people have an option. This lens has become quite popular here in India. Arijit Banerjee; It's Not a Killdeer. 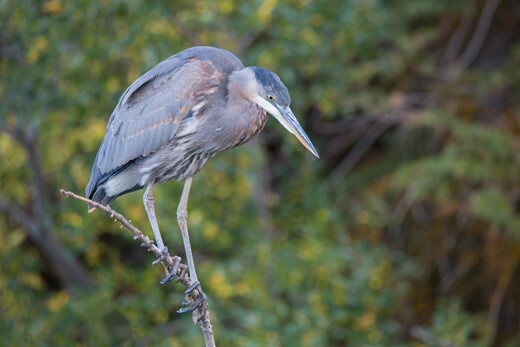 It's a Great Blue Heron. Exactly the results I got with the D800e. Soft at 600 with truly horrible highlight handling. Too bad, I had the credit card out! Great article, I recently bought the sigma version and am really happy with the image quality. "What should not be underestimated is the necessity for an even faster minimum shutter speed when using this lens on a camera with an APS-C sensor. The difference between 600mm and 960mm is considerable and if you are constantly using the lens at its furthest reach, it will eventually limit the length of time you can use the lens at dawn or dusk when you're struggling for enough shutter speed to keep it steady." It is my understanding that simply having a crop sensor doesn't affect the shutter speed rule of 1/focal length. Hence 1/600 should still be fine for a 7d mark II which crops the image to 960mm. Not at all. the rule you refer to is related to the angle of view, although expressed in terms of focal length. So instead of real focal length, an equivalent focal lehtgh shoud be used for APS sized sensors, which takes into account the change in angle of view due to a reduced sensor size compared to FF sensors, for which the rule was originally formulated. You will need to use the equivalent focal length but just remember it is a rule of thumb. It will depend on the person, the situation, how long you've been holding the camera, if you are standing or sitting, how much wind, etc. You'll need to figure out what setting you can get sharp images with. I know that with the Tamron at 600mm on a 7DII I will not reliably get sharp images at 1/800th when standing up but I will if sitting down if I'm not too enthusiastic on the shutter (which is still my biggest mistake/challenge with wildlife photography). Since the 1/focal length rule was relative only for 35mm (FF) you have to use it relative to the effective focal length which for APS would be 1/900 sec. Of course IS should help reduce this number but I can tell you for sure this lens is hard to hold steady at 600mm so I always use a mono or tripod. The Tamron should start at 100 mm or even better at 50 mm – to match perfect. The Tamron always tends to overexposure my animal pictures, I have to correct at least -½ EV and -1 EV – what gives me shorter exposure times then any other super-tele-zoom in this range. I have the Canon 4.0/200-400 mm x1,4x L IS too and worked a lot with Nikon 4,0/200-400 mm and extenders – both are very heavy and not made for free hand shooting – 1 year ago I got my Tamron, it is so light, that I can shoot with 1/1000 and 1/500 second handheld with best possible image quality. but if I need 600 mm it is overexposed f:6,3 – which leads to a shorter time at 600 mm against f:5,6 at 560 mm – and the Tamron makes a clear point. Quote: "The Tamron should start at 100 mm or even better at 50 mm – to match perfect." From my understanding, the greater the range in a zoom lens, the more IQ is sacrificed. I wish that they would have made the Tamron something like a 300-600.
obvious is - it is tough to ensure IQ if the lens goes from wide to tele. And IQ is only a minor point - to get a sharp picture or to get it not is what counts. Its not a mistake, its a function of weight vs. optical quality. It was hardly long ago that "28-70/2.8" was possible. We're only in the era of "24-70/2.8" right now. This has been prolonged by adding VR. So really we are in the next step, which is "24-70/2.8 VR". Maybe some day we will see a "20-70/2.8" or a "24-90/2.8" but we simply aren't there yet. Its not a "Japanese mistake" -- its physics and costs and weight. All of the lenses you want already DO exist, but within the realm of physics/economics. You can buy a 24-85/variable VR right now. You can buy a 24-105/4 OS. Hell, you can buy a 24-120/4 VR. And a 50-500/variable OS! Those lenses exist. You just can't have it f/2.8. I think what you might be suggesting -- if I catch your drift -- is that you'd be willing to pay 3-4 times more money for each of those lenses & lift 3-4 times more weight, if they would make those things f/2.8 or f/4? But most people wouldn't, which is why there isn't a market for it. Personally, I do wish Sigma would make a 300-600/4 VC, or a 300-600/5.6 VC. Sigma made a "SPORT" version of the 150-300, so I don't know why they couldn't make prime-sharp 2x zoom version. They've shown interest in a 1.5x zoom lately. Would also like Sigma to update their 50-500 OS with a 60-600 OS. I don't really understand why Sigma chased Tamron on the 150-600. It just never made sense to me. Maybe because they felt Tamron was copying their 150-500, but that was never their best lens.... The 50-500 was better, ironically. Sigma should have underscored its talents, and driven the market with a 60-600/OS Contemporary, and a 300-600/5.6 OS ART lens. That would have been fantastic and compelling! They still could have replaced the 150-500 with a 150-600. But, did they really need two versions?? I think they are chasing Tamron's brief head start bit and forgot their strength in this new market. So they find themselves looking "me-too" a bit, when the world is ready for more. I now physics, I studied phototechnics. It is not a question of physics are extreme higher prices or much user lenses - the japanese simply don't think very much on what lenses could be better, then what we have today. a 2.8/24-90 mm IS would bring much more benefit for every portrait-photographer and it would be very nice to have a 2.8/50-200 mm IS too. With the lenses now... you always have to change lenses, or second camera with second lens - the barrier with 70 mm is very unlucky! And a 4.0/24-105 mm is simply no solution - Viewfinder is darker, AF ist not the same and more depth of field is not good for every shooting. There is no need to pay 3-4x price - for that pice you would get a 2.0/24-90 mm - glass is not so expensive as you think and the make us believe. and the storytelling, that pro-lenses don't bring the manufactures any money is not true at all. By all means, start a KICKSTARTER with your phototechnic lens designs and get those lenses made! You clearly know something "the Japanese" don't. Odd, "the Germans" and "the Americans" don't seem to be doing it either. The world needs people like you to do something about, otherwise it sounds like you are accusing a whole race of hard-working people of laziness, while you type about them, sitting on your couch. Make the design, patent it, start a Kickstarter! "QuarryCat Optics International LLC, makers of the original light-weight, affordable 14-400mm f/2.8-4.0 full-frame lens, since 2015." I'd buy one, if you could make it under $2,000. But you know I'm kidding. Certainly a 50-200/2.8 VR is possible, but its just going to be a while before you get it. Similar the progression found with 28-70/2.8 -> 24-70/2.8 -> 24-70/2.8VR, you have to let is pass through. Its going like this 80-200/2.8 -> 70-200/2.8 -> 70-200/2.8 VR I -> VR II. if we are so happy with everything they built - there will be NO real innovation. We have the stupid unpractical barrier with 70 mm now for more then 20 years... ask any photographer if he would take an 2.8/24-70 mm for 1600$ or a 2.8/24-90 mm for 2000$ - - it will be an easy choise! The same with 2.8/50-200 mm or even with 100-400 mm against 50-400 mm. now there should be a lens like 2.0/50-135 mm or even 2.0/60-120 mm - it is possible and could be done not so expensive - but if we don't think and don't talk about it - nothing will happen. When I see Sigma 2.0/24-35 mm or 1.8/18-35 mm - they are simply not helpful for my photography - I would always take a 1.4/24 mm or 1.4/35 mm. No, no. This is a misinterpretation of economics. Its not a matter of whether or not we are "happy" with what they build -- its a matter of whether or not we BUY what they build. And as you quite well know, everyone is buying these lenses, because, precisely as you mention, correctly, there are not alternatives that are "ideal." So we buy "next to ideal." But happiness doesn't come into the equation, only utility and purchase rate/volume. In this sense, saying that we are happy or unhappy does nothing. The only thing that can change this situation is taking ACTION -- which is, again, to patent some lens designs and start a Kickstarter and make your own (hey, every company has an origin maybe this is yours), or to boycott buying lenses. But if someone wants a 50-200/2.8 VRIII, and the only thing is available is a 70-200/2.8 VRII, then most likely they are not going to buy a used 80-200/2.8 non-VR instead, they will buy a 70-200, unless an upstart makes a 50-200/2.8 non-VR first! In fact, I would argue that the lens manufacturers WANT us to be slightly unhappy and WANT us to "switch lenses often" (not have much overlap" -- precisely so that we will need to buy an additional lens. In other words, our (very slight) discomfort is good for sales. Therefore, again, unless a start-up company makes a 50-200/2.8 non-VR lens -- sells a few and threatens to put VR in it or sell the design to someone who can -- then its likely Canon/Nikon will not make it on their own. This is also why those guys are always copying each others zoom ranges (16-35, 24-70, 70-200, etc, etc) without originality. They only go so far as they have to go to avoid losing to competitor. As such, our happiness is not part of the economic equation -- only our purchases. But the ACTION of a startup or competitor can prompt change (for example, Fuji and Sony and 4/3rds has lit a fire under Canon/Nikon which they cannot resist for much longer..... though they will wait as long as they can! lol). and lenses wich beginn at 50 mm or end at 90 mm. I don't believe in this kick-starter thing - not when we talking about lenses - you need the best industry with decades of experience to built a high quality lens with AF and IS. You are right - there are two devisions, the engineer can do nearly everything - but the marketing department calculates the price and the pieces the could sell - and what comes to market is mostly a compromise - because money counts. But if enough people think it could be a good benefit to have such lenses - and pay a bit more for them - the marketing will set em free. So I am saying I want 24-90 mm and 50-200 mm and I pay more for them. “only 400mm” and not at 600 mm! No word about image quality between Canon 5.6/560 mm and Tamron 6.3/600 mm – it is stunning, that the superpriced Canon can not make significant sharper or higher contrast pictures – maybe in the lap but not in real life. You can get better pictures, but that’s in the hand of the photographer himself, not in the lens or camera quality. I worked with both Sigma zooms too and have the Canon 5,6/100-400 mm L IS II – for me the clear winners are the Tamron and the Sigma Contemporary. The Sigma Sport is far to heavy, it has even heavy loss of light and vignetting and isn’t optical any better then the cheaper zooms. The Canon 100-400 mm is short and not bad with 1,4x extender and it has the best/most powerful image stabilization. If you can get close or have bigger, less dangerous animals – it is the best choice. But still – there should be a 4,0/50-300 mm L IS lens – lighter and faster. The industry thinks a 2,8/70-200 mm with extender should be enough – it is not! Animals always move around and in most situations you can’t move, so a zoom from 150 mm is problematic, especially at a crop camera. The Tamron has a little dust problem it is not a perfect safari-lens. But with 5-7 years warranty - Canon just 1 year - the Tamron is a clear winner. First of all I appreciate this review for its practical use of this kind of long zoom lenses. But......with such lenses in wildlife photography air turbulence becomes a major factor in image resolution . Can anyone explain the advantage of a 600mm f6.3 compared to a 300mm f6,3, even if they perform the same in the lab? I would say: with your target at 100m distance a 600mm offers 2 times more magnification but also a more blurred image. So your bear has more pixels but hardly more image sharpness. Carrying around 4 times the weight does not show any great advantage to me. Beside that, shorter tele zooms perform often better at the same aperture, so if the air turbulence is not the limiting factor, the lower resolution of the 600mm would be limiting as shown by the test data. In other words: under ideal circumstances a 600mm (1000 lines/mm) performed equal to a good quality 300mm (2000 lines/mm), but is 4 times heavier. and how far away you are. the better the pictures will be. But for close ups from wild animals, you will need 600 mm and even 1000 mm. Looks like you are using a Native Watercraft Kayak, very sable! Have had mine for years, and venture out with thousands of dollars of photo equipment without worry. Agree. I spend hundreds of hours each year in marshes, ponds, small lakes and bigger waters (when calm) taking wildlife shots from my Ultimate 12. I love the fact you can even stand up when necessary to get shots. There are a lot of questions about photographing from a kayak. I'd appreciate an article on the topic, with some direction to cases that work well atop under the bunjies. I've not found anything that is rigid, waterproof and keeps the camera accessible. Very interested in your equipment and technique! Good, practical review and very consistent with my own experience. I am VERY impressed that you: 1. Took this equipment into a kayak without accidentally testing its weather sealing in a flip-over, 2. Did so with a large, territorial, feeding bear nearby. My conclusions are: 1. You are much more skilled in a kayak than I am, 2. Much braver than I am, and 3. The Tamron really is a pretty good consumer lens and good enough for some professional use. I really identify with the agility/small size/lightness of the lens, as my main sports long gun is the 400mm f2.8 IS boat anchor. This agility makes it fun to shoot and encourages shots from new vantage points. I want this lens for my Sony A7 , are they ever gonna do it ? Nice work on the field-test! The images are acceptably sharp, and for the price, one can hardly argue with the results. The Tamron seems like a fine option for budding wildlife photographers on a budget or even veterans who might appreciate the added utility of having on hand a lightweight, versatile optic as an adjunct to their more expensive lenses. The Sigma 150-600 Contemporary was much better and sharper at all focal lengths then this lens with my testing using the 7D2. You can actually use the I.S. While panning too. it is a little bit sharper at 300 mm. But maybe you have the one in a million from Sigma. I had more AF-problems on Canon with the Sigma, then with the Tamron - like usually. And Sigma OIS is not always good enough - Canon IS is clearly more powerful. Could be I had one of the best from Sigma and one of the worst from Tamron but Im just giving my experience with using both lenses on a 7D2 which I also used the new Canon 100-400MKII. Doesn't make much sense for a lens that you have to turn off the I.S. when you are panning for a shot. Tamron states this on their website. If you forget to shut off the I.S. and are panning you will get mostly soft blurry shots. The Sigma is better in this regard. The Sigma I had was much sharper then the Tamron from 400-600. Funny, I had AF problems with the Tamron and the Sigma was a dream. I had a Bald Eagle flying right at me while using the Tamron and I thought I nailed focus through all the shots but every one was out of focus. The Sigma was so much better for me with this scenario. Like I said this was just my experience. I would suggest people rent these lenses for a week or two and find which one suits them better. Usability of OIS depend how you use it.. When you always have it on, yes it might be inconvenient to have to switch it off for panning, but I (and probably many others) use OIS as a tool which is standard off and only switch on when needed. Something that has puzzled me after reading various reviews. Some say the lock button is variable and others say it's not. I know that mine is very much only locks at 150mm. Did they change this on later releases? 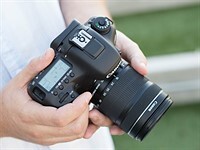 There is a firmware upgrade necessary on the lens to make it work correctly with the 5D3. Otherwise, the AF will sometimes not even engage when using center point. As you mentioned, it works much better on 7D2. I got one from the first USA batch and heard about the FW I mentioned above. I should state that I have not sent mine into Tamron yet, but read it fixes the 5d3 nonresponsive AF problem. Also, I used the Focal app software to fine tune the AF micro adjustments on all my bodies with the Tamron and it made a world of difference. While not as sharp as my Canon L primes, it is very good for the money. Thanks for this review. As a photographer these field reports resonate with me more than lab tests. I used the Tamron 150-600 on a Canon 5D MkIII for 6 weeks in southern Africa last summer. It worked very well, and it is hard for me to distinguish by quality which photos I took with that combination, and which I took with the Canon 7D + 500mm f/4 + 1.4X TC. I sold my Tamron lens and 5D Mk III, and got in its place a Canon 7D Mk II and 100-400 Mk II. I have been exploring using the 1.4X TC with that combination and have been very pleasantly surprised with the image quality (which had been dreadful with the old 7D + 100-400). The 7D Mk II will still autofocus with the teleconverter, but you are limited to the central spot, whereas on the Tamron you have access to all the autofocus points. I like my Canon combination for durability, weather resistance and speed of focus. But this is all good gear. A big agree from me that technique often/generally ends up being a much bigger factor in image quality at these extreme focal lengths than which of these lenses you have on your camera. Does the author understand the meaning of the term "super zoom"? Not 4x range! First, I wish you had written the 7DII review. It was so refreshing to see some positive reading points on a camera your colleagues considered pretty disappointing. Just based on your sense of this lens and your experience, do you have any gut feel about this lens vis-a-vis a Canon 100-400 II with a Canon 1.4x III extender, which puts their long end reasonably close to each other? Obviously the Canon optics are going to be better, but the 1.4x is going to soften that somewhat, and impact its speed. If the Tamron was 95% as good vs. 75% as good, that could influence a buying decision. Thanks for a thorough and insightful review -- and some incredible shots. Most comparisons put the optics as even, while AF goes to the Tammy (or Sigmas). The bare Canon lens is something else in it's own right though. and the price is double. If you need 600mm to 1000mm - the Tamron is the better choice. I can always use my 200mm and get closer to the subject... then get mauled by the bear. A true test would be to take 15 photos of the same bear from the same distance with 15 different telephoto lenses/cameras and see which comes out the best overall. There's a really great stuffed bear in the museum in Fairbanks. Huge, ferocious and you can pet him. I was on a Wilderness Tour organized by the National Park Services in the Denali National Park - as we were driven along the road in a converted school bus the bears came pretty close to us and couldn't careless whether we were there or not. One thing for sure: they are very fast, very very fast and powerful I was watching one particular bear at a distant as he was running up and down the side of the hill at great speed, and if he was chasing me I am surely gone. See?? Stuffed cat AF test FTW!! A stuffed bear would do fine, as long as it's covered in real fur because real fur and skin have all the micro details that fake stuff lacks. But if a bear is not available, a straight row of plants and flowers would be just as good a subject for testing a lens. @ maxnimo - I totally agree with you. For that I would suggest you try Photozone or go to a Japanese book store and check out the Japanese photo magazines; they do a really good job! I don't think many photo equipment reviewing sites would make direct-same shot comparisons, because that will make camera/lens makers upset. Most photo review sites will let you believe that they are all very good. This is also true when you buy a HDTV; retailers are not allowed to put different brands showing the same scene right next to each other on display. "I don't think many photo equipment reviewing sites would make direct-same shot comparisons, because that will make camera/lens makers upset." The issues is more that a real-world 15 camera / lens shootout would be extremely tough (in fact near-impossible) to pull off fairly, ensuring consistency from shot to shot. At which point nobody benefits. I think the 15 thingies is just a tongue in cheek comment - no one expects that kind test - I think we'd be happy with a simple side by side comparison tests say a Tamron with a Canon body and an equivalent Nikon and Sony body - the available lens mounts. Because we always want to know how a particular third party lens performs on each brand of camera body. To make it fair and reasonable lenses and bodies must be calibrated to eliminate sample variation. Also, there's has been big debates between Nikon and Canon as to which is better. How come DP never do direct comparisons to settle this? @ Barney - most of the modern day photo equipment perform quite well in many areas. Example, I own both Nikon and Fuji X-series equipment...I was very happy with the results I got from my Fuji X system, but only up to the point when I compared the same images against my Nikon's. This is one reason I'm not leaving Nikon and go full mirrorless, at least not now. Don't get me wrong here, Fuji is still excellent in its own way. I get that your site is mainly trying to promote sales of photo equipment of all kind, and therefore, it's not your intent to proof which one is the best....However, as a buyer who might put up thousands of dollars, this kind of approach does not really help. Not a fan of Leica but I feel sorry for them when you made you purchase decision partly based on Ken Rockwell tests ! My experience with autofocus on 5DIII is not that frustrating. Yes, hunting is there, but not to the extent of the reviewer's experience. Using widest aperture at 600mm it is capable of producing reasonably sharp images. Here is a collection of few images at 600mm and aperture 6.3. All handheld. Rumor has it Canon is planning to release a successor to its APS-C flagship EOS 7D Mark II in the first half of 2018. After 3 years, it's probably due an upgrade - here's our wishlist for a Mark III. Have you ever seen a shutter fail in real time? Now you can. 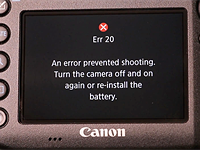 In this video, ContinueCrushingTech shoot a 7D Mark II continuously until the shutter finally gave up and died. These macro photos of clouds of paint billowing through clear water might look like high-quality CGI, but they're real photographs. 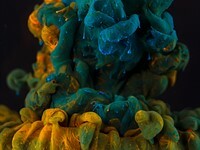 And photographer Alberto Seveso told us how they were made. In the fifth and final part of his series of articles on aerial photography, Erez Marom recaps some of his most formative experiences.